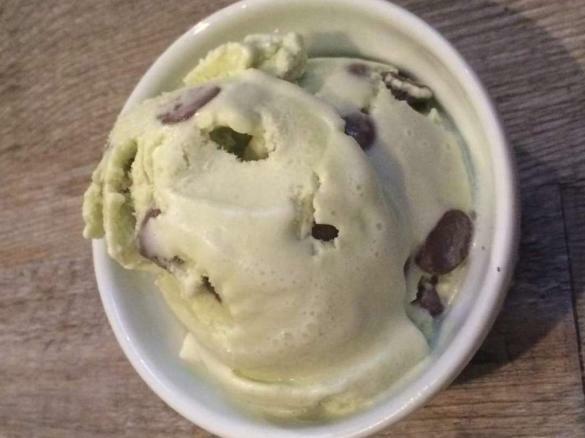 mint chocolate chip gelato by Bazzdunn. A Thermomix <sup>®</sup> recipe in the category Desserts & sweets on www.recipecommunity.com.au, the Thermomix <sup>®</sup> Community. Combine egg yokes and sugar and beat on speed 4 for 5 minutes or until pale and thick. Add cream and milk and cook at 80c on speed 4 for 5 minutes. Pour into glass jug and refrigerate until completely cold. Place in ice cream maker and churn as per the manufacturers instructions, usually about 25-30 minutes. Serve now as a softserve or freeze for a couple hours to make it harder.